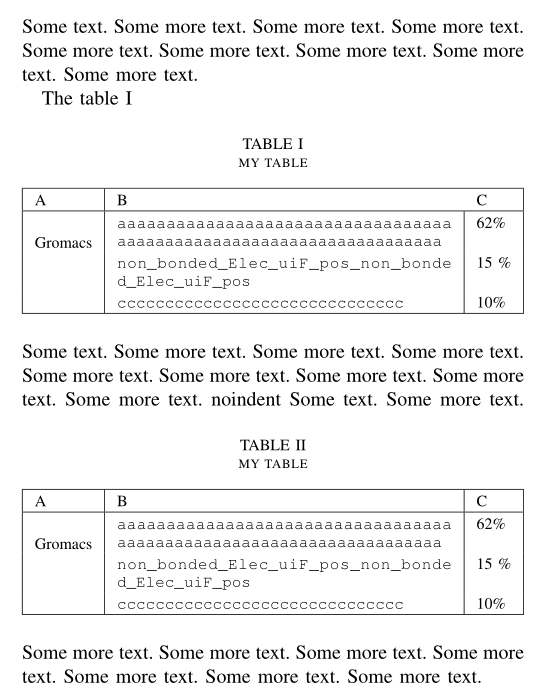 some texts inside a column should be wrapped to the next line, however as I see from the following code, the text length is too large that interfere with the rightmost columns. Here is a solution, with tabularx and xurl. I added a variant, which automates word wrapping in the whole column, in case all cells in the second column (except the column head) should be typed in this way, with the collcell package. \noindent Some text. Some more text. Some more text. Some more text. Some more text. Some more text. Some more text. Some more text. Some more text. noindent Some text. Some more text. Some more text. Some more text. Some more text. Some more text. Some more text. Some more text. Some more text. Why doesn't the first column wrap text to its width?